Féile na Laoch (The Festival of Heroes) celebrates our cultural heroes, including storyteller, poets, actors, dancers, singers, and musicians. The féile was inspired by the life and work of one of Ireland's true cultural giants, Seán Ó Riada, and this year we commemorate 80 years since his birth and 40 years since his death. Glac páirt / Take part! Pianist Míċeál O’Rourke has built a career as a highly respected performer and brings special insights into the music of Mozart, Chopin, Debussy and Ravel. He has played at most major venues on four continents including the Concertgebouw in Amsterdam, the Great Hall of the Moscow Conservatory, the International Music Centre in Moscow, the National Concert Hall in Dublin, the Saint Petersburg Philharmonia, Queen Elizabeth Hall and Royal Festival Hall in London, Salle Pleyel in Paris, Symphony Hall in Boston as well as the John F. Kennedy Center for the Performing Arts, and the National Gallery of Art in Washington. O’Rourke graduated from University College Dublin and pursued his music studies in Antwerp and Paris. Among his piano teachers were Jacques de Tiège, Arturo Benedetti Michelangeli, and Marcel Ciampi, a pupil of Debussy. In a vast concerto repertoire ranging from Bach to Lutoslawski he has been soloist with such orchestras as Royal Philharmonic, Saint Petersburg Philharmonic, Moscow Chamber Orchestra, Boston Pops, Moscow Symphony, Orchestre de Nice-Cote d’Azur, Philharmonie de Lorraine, Slovak Philharmonic, Lithuanian Philharmonic, National Philharmonic of Ukraine, Irish National Symphony, Istanbul Symphony, London Mozart Players and many others. For “distinguished Chopin performances” the Artists Guild of Poland awarded O’Rourke the Frédéric Chopin Medal in the composer’s birthplace at Zelazowa Wola (1994). In season 2010 / 2011, O’Rourke has performed concertos by Field and Chopin in Dublin, Hong Kong, Paris, Vilnius, and at Saint Petersburg Philharmonia. Also this season solo and chamber music concerts have taken him to Madrid, Moscow, Novosibirsk, Paris, Buenos Aires, Washington and New York. In June he will perform Mozart concerto no.21 with the National Symphony Orchestra of Belarus in Minsk. He will open season 2011 / 2012 with return visits to the USA, South America and Ireland. 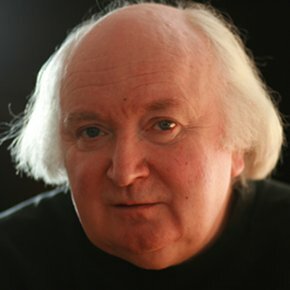 O’Rourke’s recordings on CD of the concertos and nocturnes by John Field have won accolades such as Classic CD Award (Great Britain), ‘Disc of the Year’ of le Monde de la Musique (France), and the Forty Superlative Pianists (Amazon.com (http://Amazon NULL.com/)). Miceal O’Rourke is Honoured Visiting Professor at the State Conservatory of Music in Novosibirsk. He has also lectured and given master-classes at Juilliard School, Royal Irish Academy of Music, Hong Kong College of Fine Arts, and in Warsaw/Bialystok Academy of Music. Tá Féile an Laoch chughainn taréis 7 mbliana. The seven years have passed and Féile na Laoch has returned once again. It takes place in Cúil Aodha 27th July - 1st August and teh period of Féile na Laoch for 2018 come to aclsoe on the last weekend in September to sleep ionce more until 2025. The lighting of the torch from the hearth of Seán Ó Riada will signal the start of events coming to a conclusion on the Wednesady evening 1 August. It's then a celebration of arts and culture for two months until the closing ceremony on the last weekend in September. If you would like to become involved, or hold your own events as part of Féile na Laoch, get in touch with us! Also, check out the 'Glac Páirt/Take part' tab above. Déan nasc / Get connected! © 2010 Féile na Laoch. All Rights Reserved.